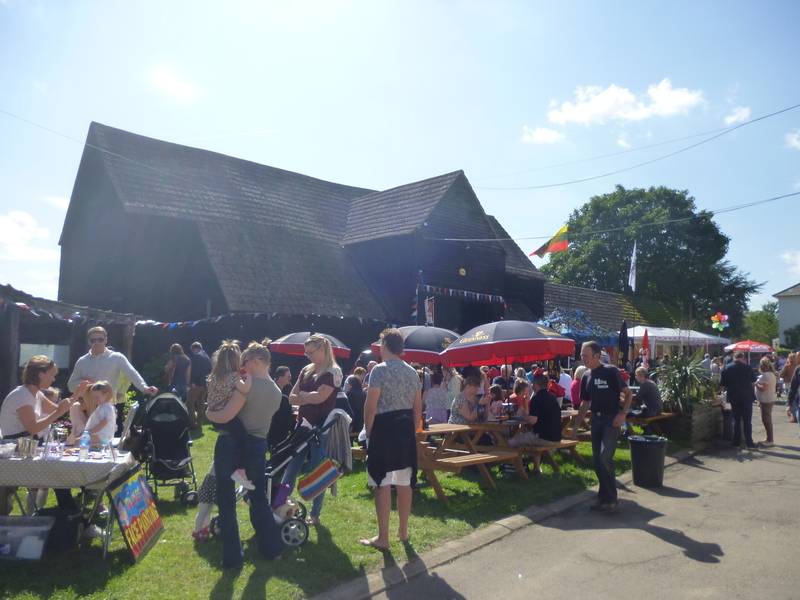 Traditionally the UK has been a proud nation of beer drinkers – and popping down the pub for a pint has been a characteristically British pastime since time immemorial. But times are changing, it seems. A poll published earlier this year by the Wine and Spirit Trade Association (WSTA) revealed that wine has now become the tipple of choice for three out of five of us. This equates to a huge 30 million or so regular topers drinking on average 10 litres of Pinot Grigio, Merlot and Sauvignon Blanc each as their top three snifters. As a result of this new-found enthusiasm for all things grape-y rather than grain-y, the entire sector is now worth a huge £17.3 billion. It supports 270,000 jobs and contributes a significant £8.6 billion in taxes to the Chancellor’s coffers. Even more amazingly though, the UK also boasts an unexpected 572 commercial vineyards, which are found mostly in England, although there are also 22 in Wales and four in Scotland too. They produced 6.3 million bottles in 2014, an increase of 42% in volume terms over the year before, according to professional body, the English Wine Producers. Although such figures pale into insignificance behind France’s seven to eight billion bottles, the market is still only a young one. But it’s growing fast. And this growth is at least partially due to fact that the amount of land given over to vineyards has doubled in the last seven years, now standing in excess of 4,900 acres (2,000 hectares). The shift has come about as a result of increasing numbers of farmers turning their land over from arable crops to vines – despite the hefty three to five years it takes for them to mature enough to produce wine grapes, explains Charles Hardcastle, owner of Joseph Barnes Wines, a lovely boutique wine shop in Saffron Walden. And the reason is simple – despite the long lead-time, as and when the crop arrives, it tends to be much more profitable than traditional alternatives. According to the Wine Investment Fund (WIF), which invests in fine wines from Bordeaux, it is also a gift that keeps on giving, especially in bad times. WIF believes that, as a commodity with similar characteristics to gold, fine wine tends to benefit from uncertain economic conditions such as those that we have at the moment. But while gold is currently losing its lustre as an investment ‘safe haven’, “wine’s intrinsic value and inherently diminishing supply dynamic should mean that it retains its appeal in unstable market conditions”. Apparently. Anyway, other reasons for the rapid growth of the English wine industry in particular, says Charles, include lots of new investment in cellar technology, machinery and, importantly, temperature control. But it also helps that the UK has got warmer over the last few years due to climate change. “English wine-making is growing rapidly as the country gets warmer and we’re now seeing grapes that you wouldn’t have grown 10 years ago,” he explains. Chardonnay and Pinot Noir have, in fact, now become the most popular national choice of varietal, not least because they cope well with our still relatively cool climate. And they also happen to love the chalky soils of Sussex, Kent and much of Essex just as much as those of France’s Burgundy and the Languedoc. But it is sparkling wine that has been the UK’s true success story. Although it still accounts for only 1.5% of domestic purchases, producers won an impressive 14 gold medals in the International Wine Challenge this year compared to just five last year. As a result, at least two thirds of UK production is now given over to it due to the higher margins that it generates, with volumes having grown by a massive 150% over the last five years. The only small fly in the ointment is that English wines are still quite expensive for what they are. Charles estimates that you’d probably pay £9 to £10 for an English wine that would cost you maybe £6 or £7 for an equivalent French one – which, incidentally, is still the UK’s favourite wine producing country behind only Australia, but ahead of Italy (data from researchers, the IWSR). But that hasn’t stopped high street chains such as Marks & Spencer and Waitrose getting in on the act, with the latter reporting a 95% increase in 2014 sales over the previous year. In fact, Waitrose now offers more than 100 varieties of wine from both England and Wales. But as well as the supermarkets’ support – something that Charles points out has been directly responsible for our new-found love of wine no matter what its origins – another thing that’s helped the British industry to blossom is the fact that English food has started to become trendy again. And of course chefs are often keen to offer local wine in order to complement their local fare – something that has resulted in it appearing on the menus of restaurants owned by such celebrity greats as Gordon Ramsey, Heston Blumenthal and even home-grown North Essex boy, Jamie Oliver. Anyway, the reason that I started looking into all of this in the first place was the fact that my Beloved and I took ourselves off to an English wine festival last weekend, at least partially to see how it compared with the fabulous three-day event held each year in Stellenbosch where we lived for nearly a year while in South Africa. 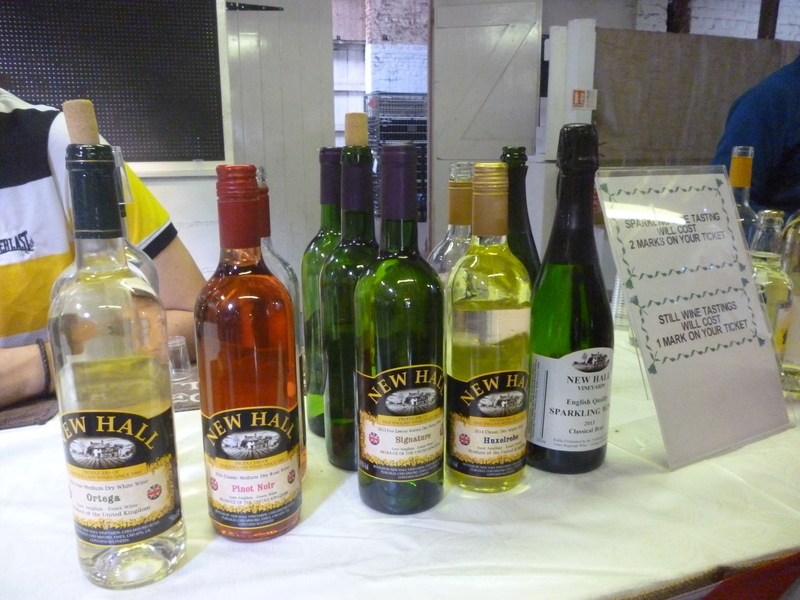 Although not quite on the same scale, it was held at the New Hall Vineyards, which is one of the oldest and largest in the country. Set up in 1969 in the small Essex village of Purleigh near Chelmsford, it comprises 100 acres of vines. 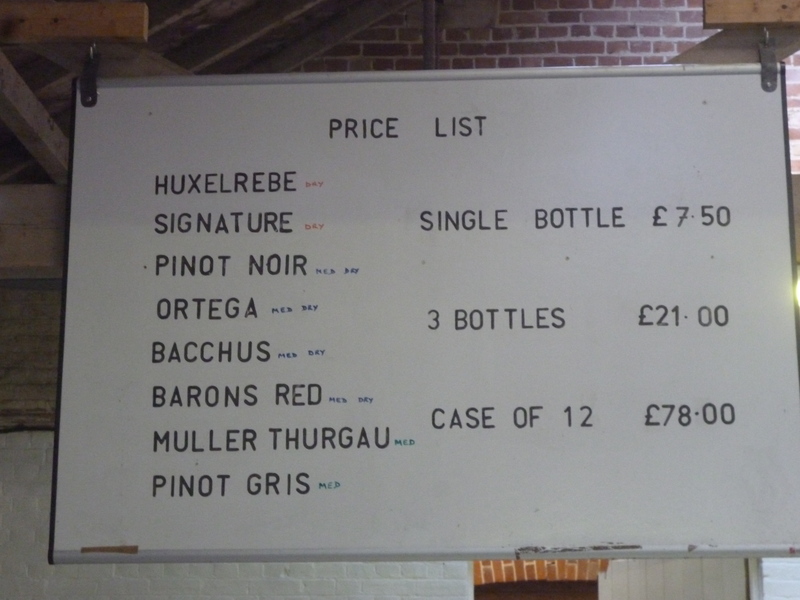 And my favourite tipple there had to be the Huxelrebe, which is a German grape, tasting – to my uncultured palate anyway – not dissimilar to a nice, crisp Pinot Grigio. The worst, on the other hand, was the Baron’s Red. But, I’m reliably informed by Charles, the climate still has a bit more changing to do before it’ll warm enough to make the most of red varietals really. Anyway, one little money-making venture that I’d not come across before, despite having been a regular visitor to Stellenbosch’s wine farms when we were there, was the idea of an “own you own vineyard” scheme. What New Hall proposes is that for the tidy sum of £350, you can rent yourself a vine row for a year, or two years for £650. They’ll look after it for you as part of the price, and then subsequently process your grapes at a cost of £1.98 per resultant bottle of wine, or £7.73 if it’s sparkling. So it’s nothing if not entrepreneurial. Which is presumably why the English wine industry – despite the cynics – is rapidly starting to become one of the UK’s big commercial success stories. Previous postThe British countryside: Pastoral idyll or rural fantasy?